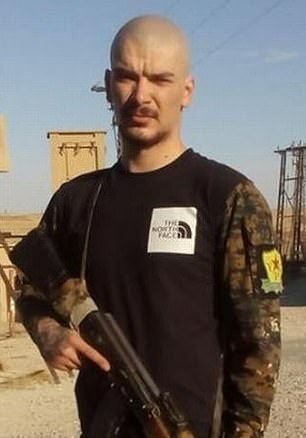 A British Army reject accused of travelling to Syria to fight against ISIS faces a retrial over allegations he attended a terrorist training camp. 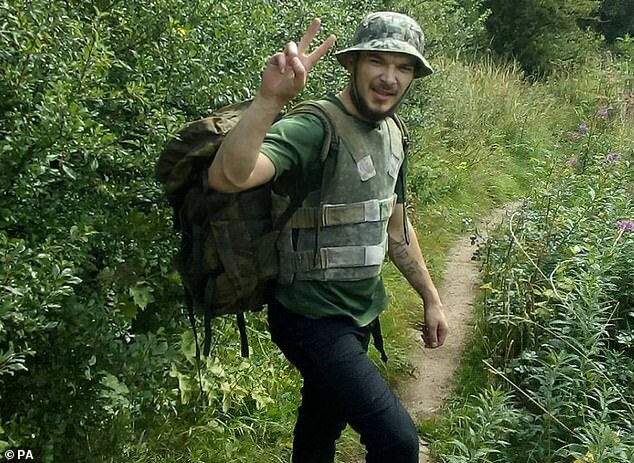 Aidan James, 28, of Formby, Merseyside, had no previous military experience when he allegedly set out in 2017 to fight with the YPG Kurdish militia. 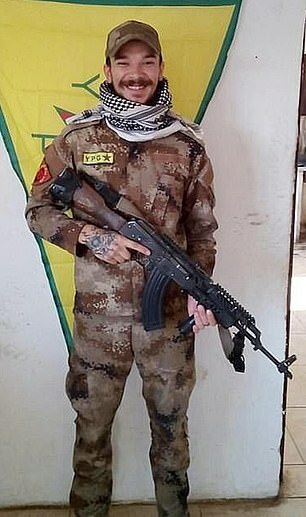 The prosecution alleged that he received training from the banned Marxist group PKK, before joining YPG units – or People’s Protection Units – in Syria. A jury today said they could not agree verdicts after deliberating for 14 hours. The father-of-one had denied engaging in conduct in preparation of terrorist acts and two charges of attending a place used for terrorist training. The PKK is proscribed in Britain because it has fought a terrorist campaign in Turkey, but the UK has supported the YPG, who form the main contingent of the anti-ISIS forces. Jurors were told he fought alongside banned groups in the region and was no different to fundamentalists who plot to bring carnage to the UK. After spending six months in the warzone he returned to London via Amsterdam and was immediately picked up by anti-terror police officers at Liverpool Airport in February 2018. But Andrew Hall QC, defending, said the prosecution case was ‘nonsense’ as his client had no interest in the YPG’s wider political aims. Last week, Mr Justice Edis told jurors that James had ‘no case to answer’ in relation to the first allegation of preparation for terrorism and told them to formally acquit him of the charge. The senior judge said at the Old Bailey in London that prosecutors did not seek a conviction if the defendant’s ‘activity was solely limited to the fight against ISIS’. At the conclusion of the prosecution case, jurors were told that James had declined to give evidence in his defence.